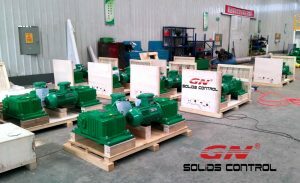 GN Solids Control is a world famous company and brand in the solids control and waste management industry. Now its business range spanning from shale shakers, mud cleaners, decanter centrifuge, cutting dryer, vacuum degasser and so on. GN could be your one stop shop in the solids control and drilling waste management area. Its product application covers from oil and gas drilling, HDD and CBM drilling, bored pile and TBM drilling. Today I will introduce two more naming rules to you, mud gas separator and screw conveyor. 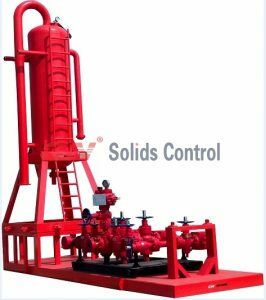 As these two products are widely used in the oil and gas drilling system, there are more and more customers showing their interest in them. So understanding the naming rules is very important and could help you select the products effectively and efficiently. Let’s start with the mud gas separator: GNZYQ1000A,GN means the company name in short. ZYQ means thename of mud gas separator in Chinese in short. 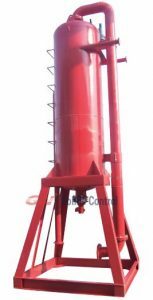 1000 means inner diameter of the mud gas separator is 1000 mm.A means this product is the first generation, and in future, GN will make more upgrades and improvements for the mud gas separator, there will be B, C etc. and more versions coming out. 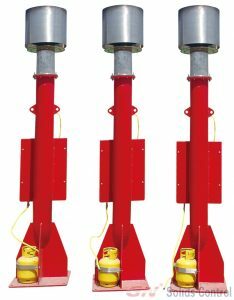 The mud gas separator is also called “poor boy degasser” which means it’s more economic than the vacuum degasser, but it’s just working under the mechanical crashing power to separate the cut gas from the mud without the vacuum pump. Next let’s go to the screw conveyor: GNSC14A-24,GN means the company name in short, SC means the product name screw conveyor in short.14means the diameter is 14 inch. A means it is the first generation. 24 means the length of the screw conveyor is 24 feet. Screw conveyor is widely used in the drilling wastemanagement system to transfer the cuttings for final disposal. 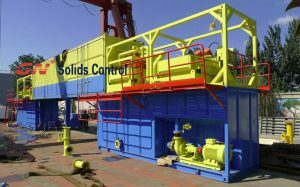 GN solid control is the most the most cutting-edge technology, solid control and drilling waste management equipment manufacturer in China, which produces the mud centrifuge has been the largest oil giant enterprises of domestic and international several full approval. In the just-concluded 2016 CIPPE oil show, crown can solids control the display of the centrifuge series, series of mm small convertible centrifuge from 220 to 550 mm of big drum centrifuge, lined up at the scene of the exhibition, has made a lot of audience attention and end users. Especially GNLW36 centrifuge model, both in the appearance of the old version and the new design was shown in the CIPPE 2016 booths, so what is the difference between GNLW363 decanter centrifuge is a new generation?The following simple statements. 1, the first generation of GNLW363, originally designed for 360 mm horizontal spiral sedimentation centrifuge, one will have two motor is a main auxiliary, respectively installed on both ends of the centrifuge.Though, is the highest level of materials, the design concept of the centrifuge is basically the same with other domestic counterparts of the old. 2, the second generation GNLW363B, more international, with the crown to solid control has been the product sales in many countries and regions of the world, as well as the champions league to the product design is becoming more and more internationalized, GNLW363B horizontal screw centrifuge before the two motor position has a into one end is at each end of the two, mainly is to increase the operator have more space and centrifuges operating characteristics of easy to maintain, stable operation. 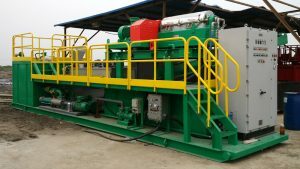 3, the third generation GNLW363C sedimentation centrifuge, in addition to the basic drilling mud solid control can also be used for oilfield waste pulp processing, it is similar to GNLW363B, two motor on one side.But on the other details GNLW363C also has a better update on structure, structure, based on the B version upgrade C version of the centrifuge and been used in many fields.Such as sludge separation, flocculation and dewatering unit, waste pulp processing, etc., with the user feedback, after upgrade C version of the centrifuge in use process compared to B version, processing capacity increased by 50%, continuity of operations, rugged conditions objection to adapt.